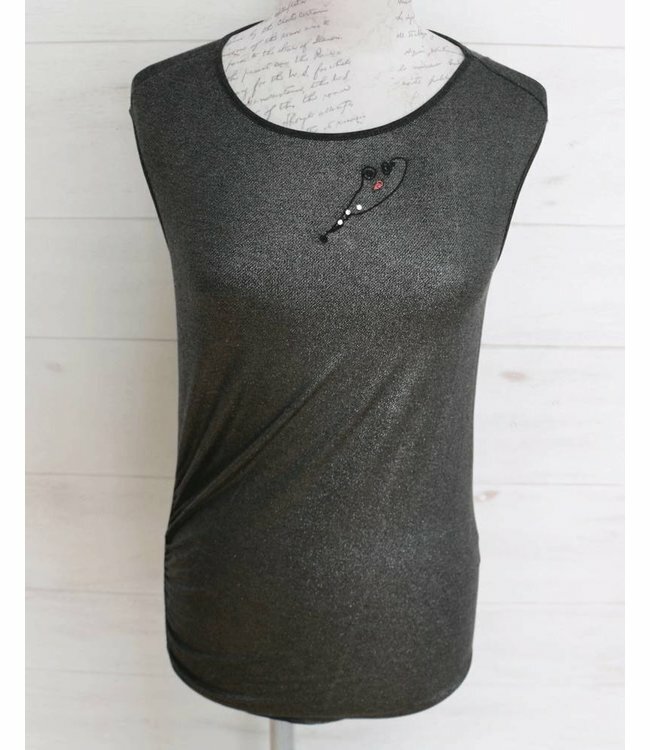 Sleeveless T-shirt, charcoal and silver, made from a soft, slightly stretchy fabric. The T-shirt has a subtle silver coating on the front and is slightly gathered at the side. It is ideal under a very wide range of sweaters and tops.